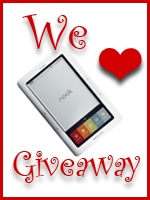 and entry into the Nook Giveaway!! We had so much fun holding this giveaway and meeting all the new people that have joined our little corner of the blogging world!!! Thanks so much to all of you for making this a really exciting giveaway! Thanks also to all the awesome blogs that participated! 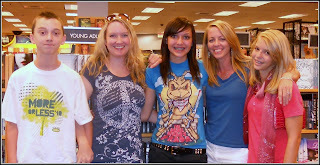 Some of you were new to me too, and I'm glad to add you to my list of blog friends! Here's hoping that the Reading Teen winner is the NOOK winner too!! Good luck!! fantastic giveaway!!! !--congrats to the winner!!! !